A person claiming to be a student at USU threatened a massive school shooting would happen if Anita Sarkeesian did not cancel her speech. Update: Utah State University's police department stated there was no risk to USU students. The email threat arrived late Monday evening. USU police worked with state and federal law enforcement and determined there was "no threat to students, staff or the speaker, so no alert was issued." Anita Sarkeesian wrote on Twitter that USU did not notify her of the threat and that she found out about it via news stories and Twitter. She has decided to refrain from speaking at Utah institutions until firearms are banned from schools. USU spokesperson Tim Vitale told FOX 13 Now in Salt Lake City the school will again review state law concerning firearms at schools. Greg Skordas, Salt Lake City defense attorney, said USU would have been within its rights to restrict firearms, FOX 13 Now reports. Original story: Utah State University stated it received a threatening email today from someone claiming to be a student; the person directed threats at the Center for Women and Gender Studies ahead of a talk Anita Sarkeesian of Feminist Frequency was scheduled to give tomorrow morning. USU stated Sarkeesian has canceled her speech. Classes and business will continue. A spokesperson for USU's Center for Women and Gender Studies said the email was sent to the director of the center, the Standard Examiner reported. In this article, USU spokesperson Tim Vitale said USU planned to hold the event with extra security at the event. Federal and state agencies advised USU that it was all right to still hold the event. However, the speech has been canceled. Utah State Today, the campus' online news source, reports Sarkeesian decided to cancel the speech after speaking with police on whether weapons are permitted at the speaking venue. Police confirmed that people are allowed to carry a weapon at the venue if they have a concealed firearm permit in accordance with Utah state law. Sarkeesian wrote on Twitter, "Forced to cancel my talk at USU after receiving death threats because police wouldn't take steps to prevent concealed firearms at the event." Because of Utah's open carry laws, police cannot do firearm searches, Sarkeesian said. Sarkeesian alleged she has received many threats with intent to kill her and others at USU, and she also alleged "one threat did claim affiliation with #gamergate." The email threatened the sender would carry out an attack in the syle of the Montreal Massacre, which took place in Canada of 1989 and resulted in 14 women killed, 10 injured, and four men killed. Before committing suicide, the attacker said he was "fighting feminism." The threats in the email sent to USU escalated, calling what could happen the "deadliest school shooting in American history." The sender claimed to be a student at the university, writing, "Feminists have ruined my life and I will have my revenge, for my sake and the sake of all the others they've wronged." 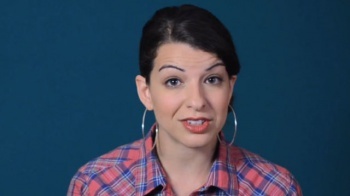 This is far from the first time threats have been issued at a venue for hosting Sarkeesian. Last weekend officials confirmed to Polygon threats were directed at GeekGirlCon for Sarkeesian's appearance. Sarkeesian had to leave her home in August when she receiving death threats directed at her and her family and reported the incident to the San Francisco Police Department, who confirmed the existence of the police report. The FBI is now investigating. In addition, Brianna Wu, head of development at Giant Spacekat, had to leave her home Friday night after receiving death threats. Wu has recently appeared on MSNBC, CNN, and the Huffington Post, to speak about her harassment and GamerGate. Independent game developer Zoe Quinn also had to leave her home in August due to threats since the beginning of GamerGate. The Escapist has contacted Sarkeesian and Utah State University for comment. USU's police department directed media inquiries to Utah State Today.